Home care is a simple phrase that encompasses a broad range of health and social services. Our services are provided by professional care providers in your home to assist with many medical and general health needs. We are available to respond to your needs and concerns with the full medical support only a hospital based home care can offer. Home Health services allow you to be in the comfort and privacy of your own home while we provide medical care. This service is provided for those who may require extended medical care or are recovering from an accident, illness, or surgery. In home care gives the patient and their family the opportunity for independence while recovering in the familiar surroundings of their home. Home care also allows patients to preserve personal dignity and often improves the individual's emotional and physical well being. Home-bound (unable for health reasons to leave home without the assistance of another person). In need of care on an intermittent basis from one of our primary services, which include nursing, physical therapy and speech therapy. The patient's condition must be deemed changeable. That is, the physician is expecting either an improvement or a decline in the patient's health status. Under the care of a physician who has ordered home care. Home Health care is generally covered by Medicaid, Workers' Compensation, private insurance companies and private pay. If you have questions about admission or eligibility criteria, please feel free to contact the Home Health staff. Experienced nurses work with patients, families, and their physicians to coordinate and ensure the highest quality of care. Our registered nursing staff may assist with medication administration, pain management, I. V. therapy, wound care, and other nursing needs. The nursing staff will also coordinate the activities of other health care professionals. 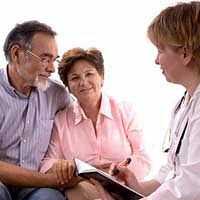 Education and instruction to patients and caregivers regarding their illness and measures to cope effectively at home are an important part of the care the patient receives. Registered Physical Therapists assist patients in regaining lost mobility, motor skills, and function. They provide treatments and exercise to help relieve pain and teach the use of adaptive equipment to improve the independent quality of life at home. Certified Nursing Assistants provide services to those requiring assistance with personal hygiene, ambulation or support with activities of daily living. The aides are regularly supervised by an R. N. and may provide some additional services following personal care duties. Our patients may have a variety of special needs such as walkers, wheelchairs, I. V. therapy or home oxygen. We maintain a network of qualified professionals to assist with appropriate medical equipment, pharmaceutical, dietary, and respiratory care needs. We are on call 24 hours a day, 7 days a week. Call 970-675-5011 to reach an on call RN. Your physician and our agency are happy to give you more information about home care services and eligibility requirements. Please feel free to call the Rangely Home Health office at 970-675-4231 or fax 970-675-4228 and we will be happy to assist you.